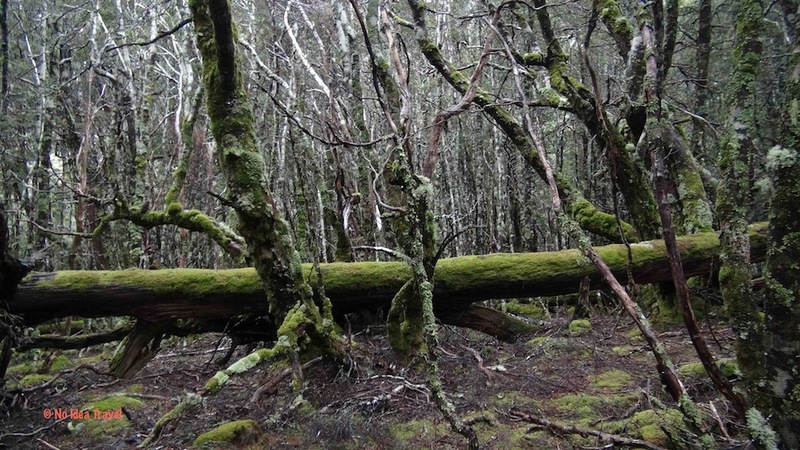 The Overland Track is a truly classic walking adventure. We walked the track as independent walkers ten years ago lugging backpacks full of tents & sleeping bags & food to last 7 days. We loved the walk, the scenery and the adventure, but we didn’t love the sleeping platforms in the National Parks huts, our big heavy packs, or dining on dehydrated meals. 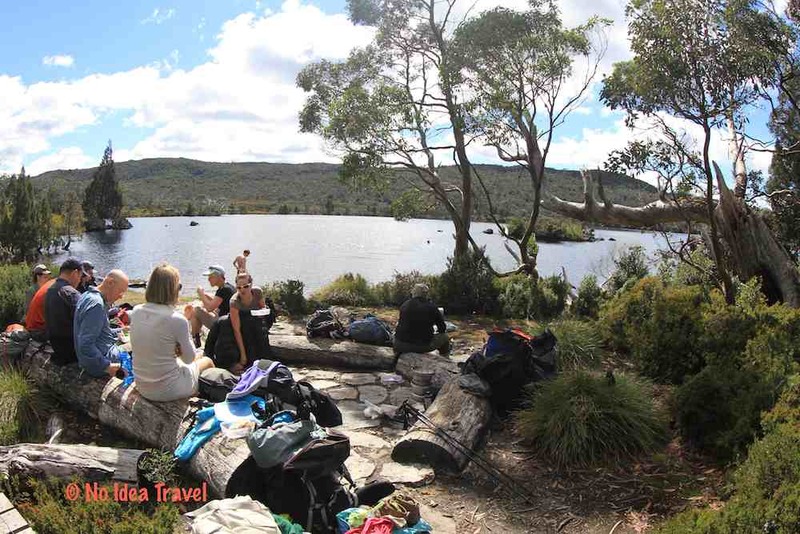 We promised ourselves that one day we would re-do the trip with Cradle Mountain Huts – sleep in a real bed, the promise of a hot shower, day packs and delicious food cooked by our guides and this year we made good on that promise! Must do rating: ***** The walk is every bit as magical as we remembered, and Cradle Mountain Huts makes it so much more enjoyable! Sleep rating: *** An order of magnitude better than sharing a sleeping platform with a bunch of teenage backpackers, but don’t expect a five star resort. Or a goose-down pillow. Work recovery rating: ***** Work is a million miles away from the first day. Relaxation rating: ** I highly recommend staying in a resort for a few days afterwards. This is a holiday that you need a holiday to recover from… On our trip ten years ago we stayed at Cradle Mountain Lodge for a few days after the walk – perfect. On this trip I went straight back to work – big mistake. DC: Every day was filled with a dozen high points! 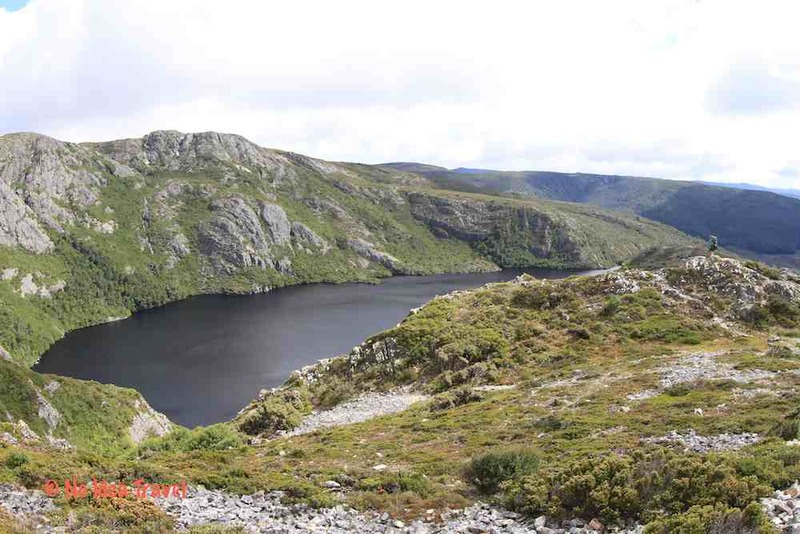 The button grass plains, the magic rainforests, the alpine area around Cradle Mountain… I can’t choose! Brig: The view from New Pelion Hut sums it all up – gorgeous! 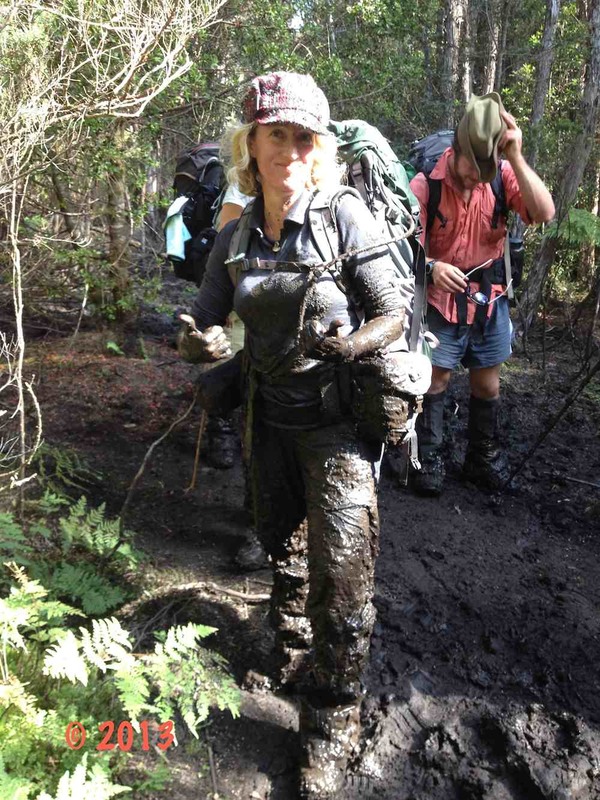 DC: Being forced to wade through mud on the track so deep that I lost my footing and… Sorry, you have to read the gory details to hear the rest!! Brig: Can’t get away from the wet when it’s raining. The rain brings its own magic, but even with the best wet weather gear in the world, it is, well… wet. This is a five night trip, and there are ten walkers and two guides in each group. This means that the group gels in a way that isn’t likely on bigger group walks like the Milford. We walked with a fantastic group and our guides were enthusiastic and fun. There are board games and a guitar in each of the huts and most evenings finished with a singalong. On the down side, the two guides do everything – guiding, cooking, cleaning – the lot. So expect to be pitching in on the washing up! There are a lot of possible side-trips (weather allowing). This means the group gets spilt into two most days, with one group doing all of the side trips and the others continuing on to the hut. This also means you’ll be generally walking as a group, and either waiting regularly for the slower people, or struggling to keep up with the faster people. Basic private twin share. You carry a pillow case and sleeping sheet. They provide a mattress, a rectangular rock to put your pillowcase over, a blanket and a sleeping bag. There are good quality long drop toilets, running water, a drying room (but the fire is turned off at night, so don’t count on washing a lot of clothes and having them dry overnight), and hot showers (with limited water flow and limited heat). You need to hand pump the water for the shower into the ceiling tank prior to your shower – this is to limit water use. Beats a sponge bath in a tent, but a spa bath it ain’t. All ingredients are either helicoptered in at the beginning of the season, or carried by your two guides. There is no generator and no refrigeration, so don’t expect to be eating a steak every night! Given these restrictions, the food is amazingly good. The guides make fantastic fresh bread daily, and they make treats like scones, cookies and muffins for afternoon tea in the huts. Our guides turned this into a competitive bake-off, and we reaped many delicious rewards (the breakfast cinnamon swirls with caramel sauce were declared the winner by the group). Lunch tends to be salad, bread and leftovers (if your lucky!) with the prerequisite museli bars. The lamb stew on the second night was the culinary highlight for me. There was wine every night (a choice of a white or a red, all excellent local Tasmanian wines), but no beer. Trip Meter: Would you do it again? DC: Absolutely! I’d like to do it in late April when the beech tree leaves are turning. Brig: When my legs have forgotten how tough the walking is and my mind just remembers the beauty of an everchanging landscape and the achievement and satisfaction of walking six days straight! Yes but not next week! DC: Take a better camera bag, don’t let the guides bully you into anything, take a feather hiking pillow, and apply insect repellent everywhere, every morning! Brig: Train! I barely managed to train at all, which meant I had to skip the side trips (but I still loved every moment!). And don’t forget to stop and look around – it’s not a race. DC: Think carefully about every item you take – each item weighs three times as much when you’re lugging it over Pelion Gap. Brig: Take a camera! The photo opportunities are every step of the way. Buy the best wet weather gear you can afford and take walking poles and use them. I don’t know how I used to get by without them! Yes! With a bit of training. You don’t need to be a hard-core walker to do this trip. It isn’t easy – the track is rough in places, with lots of rocks and roots making for an uneven and difficult walking surface, but it is suitable for people of moderate fitness and limited walking experience. Some of my resort-only friends have done this trip and loved it. Walking Poles are strongly recommend for all walkers – they make a big difference on the uneven surfaces of which there are many. The fitter you are, the more you will enjoy the walk and the more side-trips you can do, but you will have a fantastic trip just walking at a slow pace and doing none of the side-trips. The mud isn’t deep if you stay in the middle. I stayed in the middle, and took a long step, and my foot never found the bottom of the mud hole. Nor did my poles. Leeches are cute little critters and they won’t hurt you. Yeah right. The leeches you don’t see are the ones to really worry about – you will be itchy for days, and itchy enough that you will have trouble sleeping. Take insect repellant, and cover every inch of your skin with it each morning. Wow! Great trip, great photos! I’m inspired!